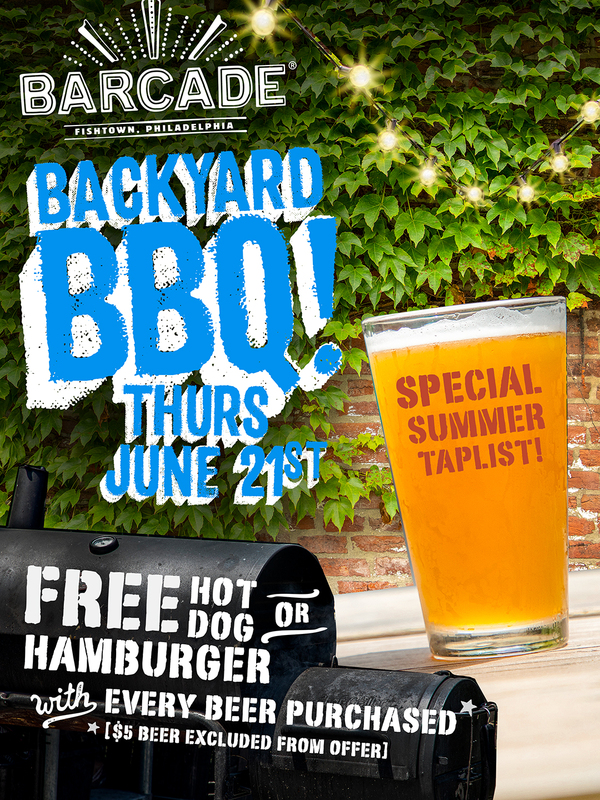 Hey Fishtown, come help us open up our new outdoor space — and say hello to summer — by stopping by for our BARCADE BACKYARD BBQ! We’ve renovated our garden area, and we’ve also expanded our seating area, so it’s time to live your best outdoor life at Barcade! And on the first day of summer, no less! Come enjoy a great summertime taplist! Plus, get a FREE HOT DOG OR HAMBURGER with every beer purchased*! The fun starts at 12PM on Thursday, June 21. See you there!